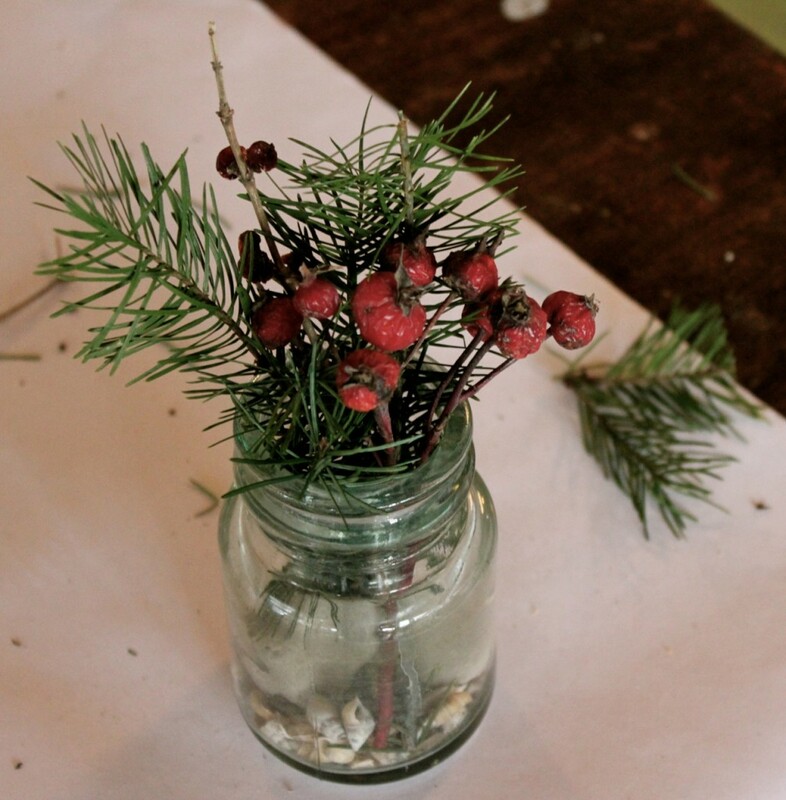 How to make pretty displays for the holidays out of dead stuff . . . I happened upon one of those blogs that focus on organizational skills, the week before Thanksgiving-–you know the ilk–when I should have been cleaning house, probably. There was an amusing article on how to get everything done for Christmas without going mad. You know the kind. It was marvelous, really, everything you normally do for Christmas was all laid out in a simple list. It was titled Four weeks to Get Ready for Christmas Without Losing Your Mind or somesuch thing. Four weeks. Four simple tasks. That was it. The blogger suggested that you do the task the week it was appointed for, and you’d be Ready For Christmas, well groomed and well rested and low-blood-pressured and not crazy and all. She didn’t mention that crucial upside: that you wouldn’t risk the usual, panicked episode about a week before Christmas when you realized that Christmas, after all, is only a week away . . . not to mention middle-of-the-night grim wonderings about, say, getting enough presents for Johnny or too many for Susie. But, gosh. That blogger’s life must be so dull. *snif* Everything done just-so. Everything tidy and peaceful and under control. *yawn* Also. Low blood pressure. What fun is that? Probably she has no chickens. Or dogs that throw up in the driveway, in the same spot where the UPS man brings his big truck to a screeching stop. Every. Stinkin’. Day. (No kidding.) Probably she doesn’t have an outside cat who dashes to get in every time you open the door (with the subsequent dashing and screaming after her), and an inside cat who dashes to get out, you know, in similar fashion (with the selfsame dashing and screaming and thrashing about). And at the same time. Life can be a bit dull, if you keep things too tightly organized. Don’t ya think? I think they’re in cahoots, those two cats. Ugh. Please. Somebody make it stop. But I won’t. Let’s see, what was I writing about . . .
Week 4: Honestly, I don’t remember what Week 4 was. I think that was it. It made SO MUCH SENSE. But I got stuck on the first one. I am not a decorator. I still have no curtains on most of my windows (most of them anyway, although we do live in the country, so what the heck) and you know how sometimes you take all the pictures and so forth off the walls, so you can paint, and then you put everything back on the wall? I do that, and then I leave the walls bare for years. Isn’t that pitiful? Yes. To answer my own question. Yes, it is. Anyway. Back to the decorating issue. Or the non-decorating issue. I’ve been forcing myself out into the biting wind every day to walk, to make sure that I get through winter with a semblance of sanity and strong(ish) legs (and honestly, so I don’t have to buy a whole batch of new jeans, all in a size larger *wince*), and I watch carefully in the ditches and the fields for pretty things to pick up. I like to draw pretty things, and one day I stuck a few of the dead things into a jar on the school/dinner/homework table, to draw. It was pretty. It was awfully pretty. Hmm, thought I. A few more jars of pretty dead things would look interesting scattered around the house, almost like I’m decorating! Almost like I have a 4-point plan. Almost . . .
You see, I’ve been reading this book. I love it. I’ve never read a book like this before. 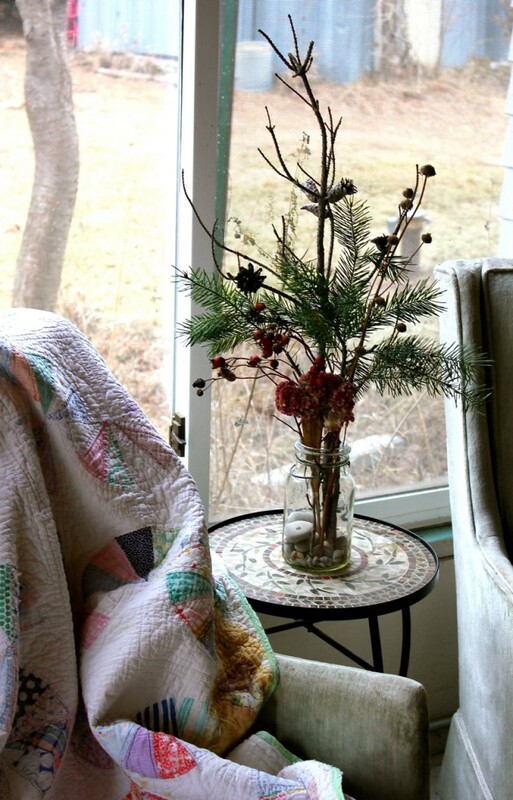 I obviously don’t read books on decorating, but I love the gal who writes this blog. She doesn’t know it, but I just love her. She is just precious. And this book has given me courage that I didn’t even realize that I didn’t have. Follow? 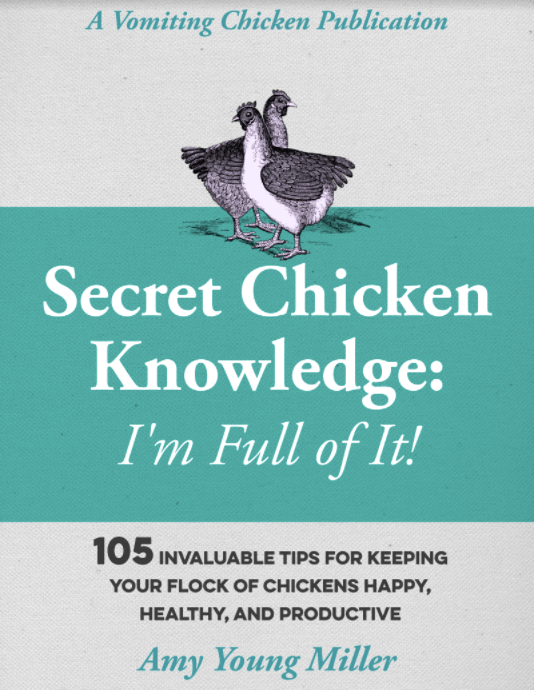 You might just love this book, too. Especially if decorating your home is something that is a bit bewildering to you. (Click here to learn more: affiliate link). But this book and The Nester has given me courage to do what I love, which is to bring in the stuff that I love–dead stuff being one thing, also pretty rocks–and stumps–and quirky things that I pick up at my favorite thrift shop–and display it as if I know what I’m doing. It’s encouraged me to create beauty in my home, according to my own ideas and instinct and love for beauty. That makes sense, doesn’t it? I put down my broom and shovel (I mentioned that I was cleaning house, right? or should have been) and got to work on more arrangements of this beautiful dead stuff. I don’t come from a people of natural decorators, Gentle Reader. Bakers, readers, Pfeffernusse-makers, musicians, theatre geeks, shoe mud scrapers, food-growers, chicken-raisers, yes. Not decorators. Maybe you do come from folks who decorate as easily as they breathe. If so, you might not find anything new to inspire you in this post, or in The Nester’s book above. 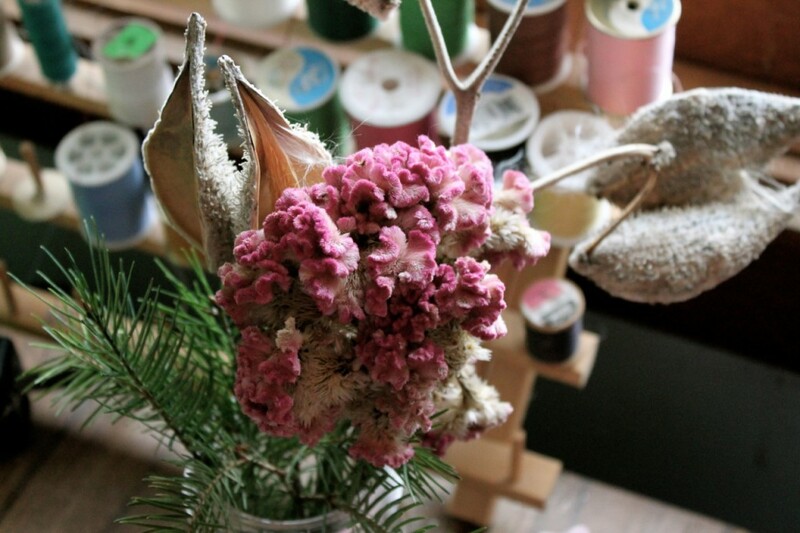 But if you’re a decorator-wannabe, like me–I think you may enjoy this quick project. 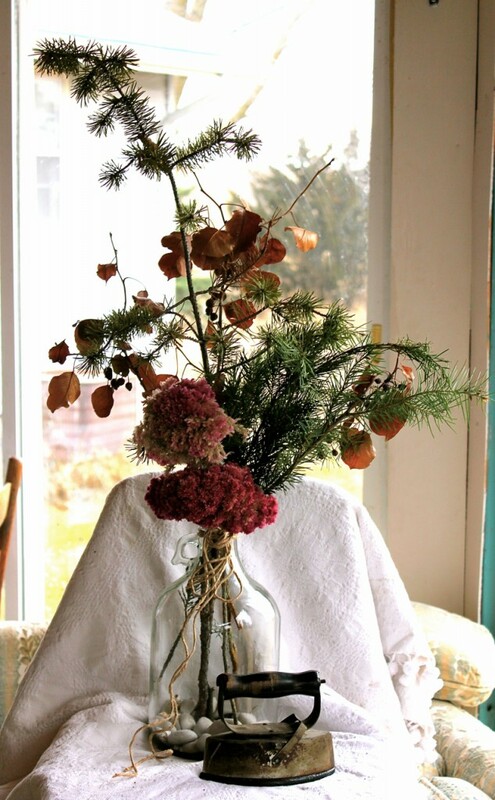 I’m going to show you how to take a few things that you already have in your house, pick and snip and clip some pretty things from outside, and make charming country dried dead stuff arrangements. Ready? Let’s go! First, assemble some pretty jars. I picked up some glass gallon cider jugs that I thought I’d use someday. Also I love old canning jars, and even pretty pickle jars. It’s fun to have lots of different sizes and shapes. Glass vases are nice, too. Find some smallish rocks that you love the looks of. I pick up rocks on the road every day, when I take my walk, so I’ve got jars and piles of little rocks everywhere. (Basically I’m still an 8-year-old boy who has to clean out his pockets before putting them into the laundry. Wait. My 8-year-old boy doesn’t put his pants in the laundry. Oh well. You know what I mean.) If you don’t have marbles or rocks from the road, those decorative little glass pebbles work well, too. I mean, I REALLY like this one. I have a couple of pairs of these, and it just gives me goosebumps to look at them. Put on your artist spectacles, and look at your landscape as you walk. You’ll see wild plants, weeds, grasses, and so forth. But what you want to focus on is what is attractive to you. What would look pretty in a vase in your house. What attracts your eye. some greenery, just because . . .
something with a bit of color: I’ve used my leftover Coxcomb flowers, which (happy day) I hadn’t cleaned out of my hoop house yet. 🙂 Also dried rose hips are very pretty, and are usually abundant along country roads. Sometimes procrastination will, after all, work in your favor! Put the rocks in the bottom of your bottles and jars. Trim, and then put into each one a piece of structure (the branch or whatever), add a bit of greenery, some filler, and something with color. 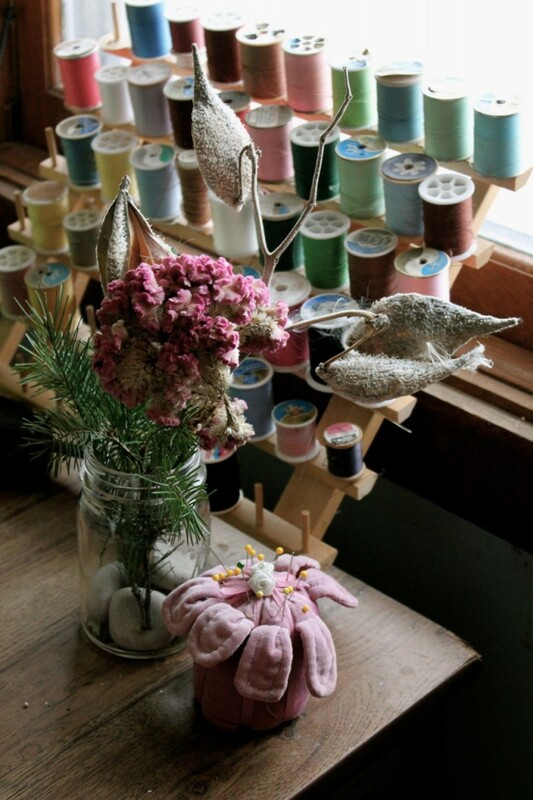 If you like, wrap some twine or a strip of muslin or burlap, around your jar. Tie a bow. Or not. What do you think? Pretty? It took me about an hour to make about 8 of these, and then to put them around the house. Instant prettification, Gentle Readers! From a non-decorator! Boom!! Merry Christmas decorating, Gentle Reader! By the by. . . I’m sharing this link with the fine folks over at these two blog hops: The Barn Hop at New Life on a Homestead, and also over at The Nesting Place. Lots of really fun ideas at those places: check them out! 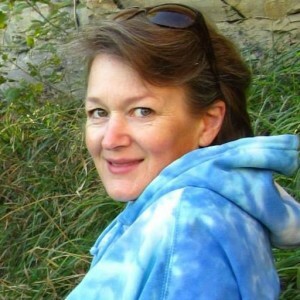 ← Lomah Acres: an interview & tour with the goat milk soap lady, & a giveaway! 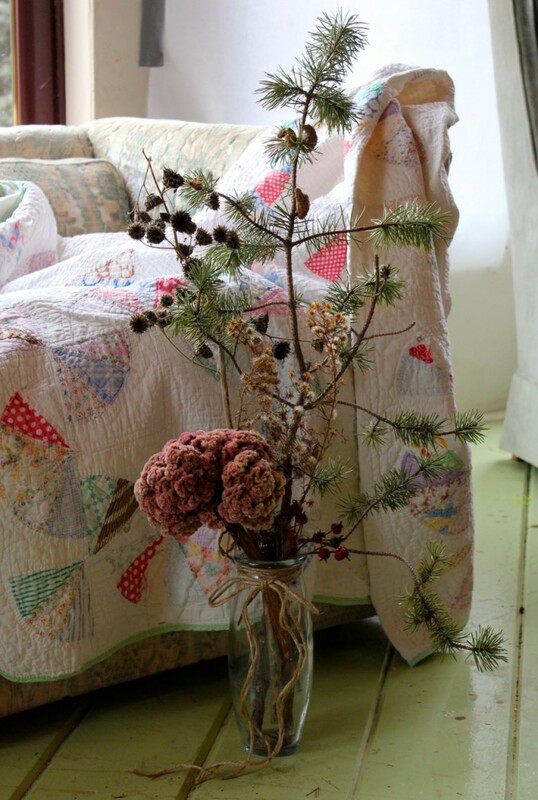 Love the tall branch in the jar sitting in front of the quilt, and I love the quilt. I am a quilter, do you quilt? Also noticed the crocheted pad on the table, I bet you made that. I love nature and rocks etc. Very nice. YES Terry, I do make quilts, but not as many as I’d like! I’m working on a special Christmas quilt right now, and it’s the carrot on the proverbial stick for me: if I get my housework done, for example, I sit down and work on it for an hour or two. AND yes, that’s my knitted washcloth. Not the greatest work, but I like to have something in my hands to work on at all times! I quilt too! I’d love to see the one you’re working on, or when you’re done, whatever. I do machine quilting on my mid-arm, if you need any done. he he Just saying. Are you hand quilting it when you’re done piecing? Errr, Rita, I’m not as accomplished as you . . . actually I tie most of my quilts which (I know) technically makes them not quilts, but I call them that, anyway. There is a group of senior citizen ladies here in Milford who do hand-quilting, and when I want to splurge (like with a wedding quilt) I’ll pay them to hand quilt it. What about you? Do you do machine quilting, exclusively? When the quilts are for me, I sometimes hand quilt them but the machine quilting is nice too and so much quicker. For customers it’s always machine quilting. It’s a slow business to grow because people don’t make that many quilts and if they have their quilts machine-quilted, they may try me if they happen to hear about me exactly when they’re unhappy with what their person did. I get quite a bit of repeat business because I’m meticulous (read: OCD) and I also barely charge for the binding step because I like to hand back something that’s usable immediately. Let me know if I can do one for you. I charge $.02/sq” plus about $15 for the binding and I can charge $11/m for the batting because I buy whole rolls at a time. If you want to see some of the designs: http://whereelse.ca/sunsetquilting/?page_id=173 Feel free to edit this post down. I’m not meaning to advertise. Nevermind the setup fee. I’ve never charged that. And the batting is now Warm and Natural 80/20. The portfolio pages are old too. sigh, must update. I don’t mind an advertisement from you, dear Rita! Hear this, Gentle Readers-who-quilt–your quilts look fabulous, Rita! And I can attest (from the aprons that you sent me) that your sewing is very neat and meticulous! Thanks for your message! You’re very kind. Thank you for your praise. I love your decorations! Fun, festive, and pretty. Also, is there anything better than bringing the outdoors inside? So true, Doree. I’m really missing my garden, and bringing all this stuff inside helps my spirit a bit. -I love your selection of dried plants. They make lovely decorations! I particularly like the last one. Every one of your decorations is beautiful! We have indoor cats, and an outdoor cat (I’m assuming he’s ours, because we feed him and provide him a heated bed) and 2 indoor/outdoor cats….and 6 chickens, 3 of which are roosters. It takes a lot more talent to decorate with dead stuff than it does to buy a bunch of things at the store. Haha Susan, so we’re not the only crazy ones (no offense!) who keep inside AND outside cats. Sometimes it gets a little hairy around here (no pun intended!). After all those years of making props for the plays I am surprised that you are surprised at your hidden talent for decorating using whatever you find. I love the pictures. In my house we do it slightly different. We forget to water a plant or two, wait for it to die and then tell our visitors that it is stylish because we learned it from a mid-west housewife from Nebraska. (Don’t worry, we give no names) Most of what should be empty jars are full of buttons and ribbons and stuff. Those that are not filled with such items are in the refrigerator filled with other “dead” stuff which has no name. When we find dead branches and leaves outside our house here in Wisconsin and pick them up, we call it cleaning the yard, boy have we had it wrong for years. As for buying pebbles from a thrift shop, here’s an idea. I have a rock polisher (I call it a gem polisher so that my wife didn’t mind the investment) then when I walk along the lake front or the river, I bring home some rocks that I like and polish them. I have a small box full. Perhaps I will give them to Goodwill so that they can sell them. It does sound like a fun project. Alas, when I take my morning walk I take my dog along with me as well as a few plastic bags so I don’t have a free hand for the pretty stuff, and most of the pretty stuff my dog gets to before I do anyway. Nice article Amy thanks for sharing. I’d like to buy a rock polisher. Any one in particular that you would recommend?? We bought a rock polisher and had it running for a while. Here’s what I learned. It takes a LONG time. Don’t run it in your basement. It’s like there’s road construction happening 24/7. We gave it to someone. Thanks for the tips, Rita! Maybe they make quieter ones now . . . ? My gifts are still not all wrapped! I like your Weekly schedule. 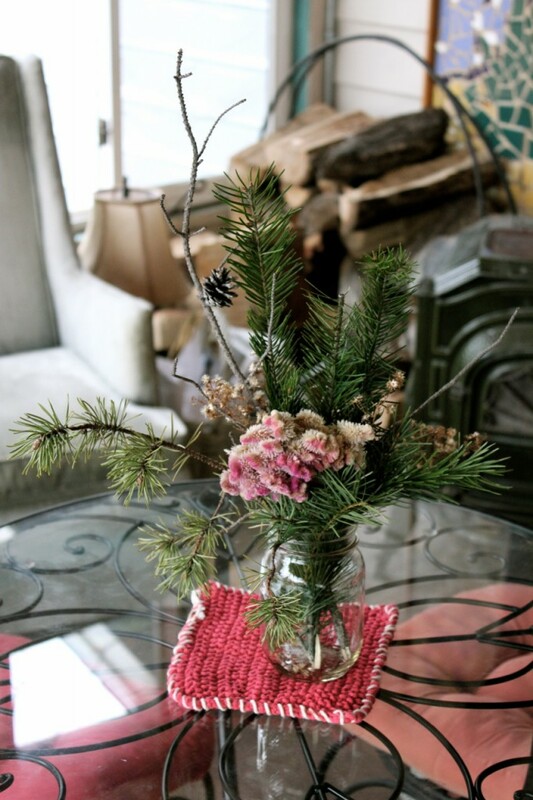 These are some really great ideas to make pretty displays for the holidays! Thank you for sharing your creativity 🙂 Love it! Uh oh! I’m 3 weeks behind. I’m working on catching up on holiday readiness today. I love the coxcomb; it’s so pretty. I definitely want to bundle up and get out for walks this winter. Last winter I stayed inside and got so depressed and did have to buy those next size jeans. Ugh! Wow, you have the most interesting ditches there in Nebraska. Just imagine, you can find shells, sad irons, and the most wonderful blog titles there! I loved the picture with the quilt, the mosaic stand and the dead bouquet. Just think, I can now take the pepper plant my husband left out on a frosty night after going through the trouble of potting it up, and use it as a decoration, and tell my readers that’s how they do it in Nebraska. After all, it has pretty half dried peppers on it. I think I’ll run upstairs and take a picture of it right now…. Your arrangements are beautiful. People will pay lots of money for stuff like that. I’m inspired!